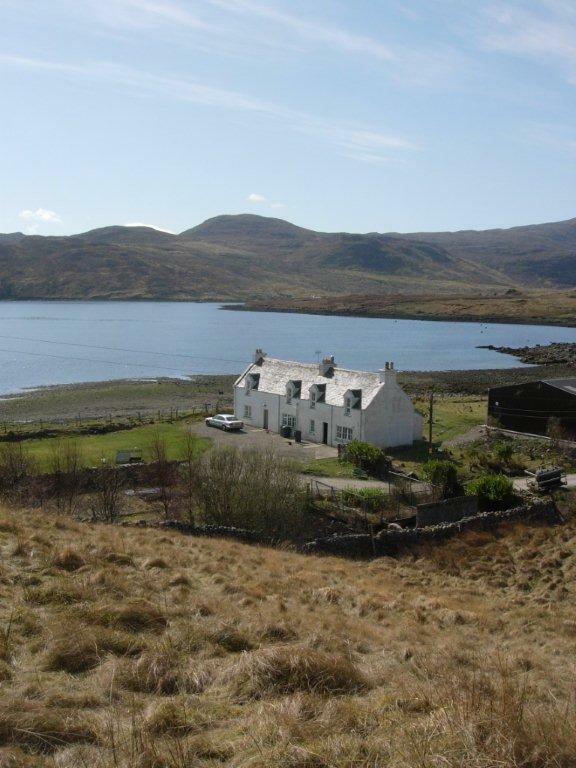 Aline Estate offers two cottages for rent separately from the lodge. 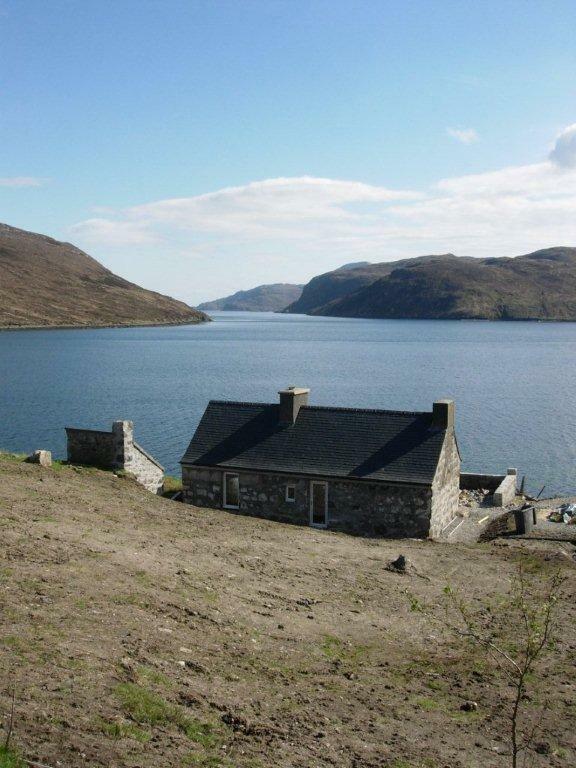 They provide a charming base from which to explore the natural splendour of Lewis and Harris. Rental of cottages does not come with sporting rights. Cottage occupants (and others) may purchase a day ticket from the gamekeeper for 5 pounds to fish from the bank of Loch Langavat. Getting to Langavat is a hike of approximately one hour. Cottage offers comfortable accommodation for up to six people in 3 bedrooms (one with a double bed and two with two single beds). In addition there are two bathrooms and a fully-equipped kitchen with washing machine, tumble drier, fridge, freezer, dishwasher, cafetiere and cooker. There is a working wood stove and TV and DVD in the living room. Tarbert Cottage lets for £695 per week during high season (July, August, September) and £600 during low season, on a self catering basis and without agent fees. Seaforth Cottage possesses one of the finest views on the estate. Set on an isolated promontory overlooking Loch Seaforth, its view encompasses Mount Clisham, the tallest mountain in the Outer Hebrides, to the south and the Eishken hills to the north. It offers accommodation for three adults, spread over one bedroom and one living room/kitchen which includes a pull-out couch. There is also one full bath. Both rooms take full advantage of the surrounding scenery, and have a cosy, rustic feel. A veranda to the front of the cottage is perched just above the rocky shore. The kitchen is equipped with microwave, fridge, coffee machine and cooker/oven. A freezer, washing machine and drier are located in a small building next to the cottage. Seaforth Cottage lets for £475 per week during high season (July, August, September) and £410 during low season, on a self catering basis and without agent fees. surrounding territory. Many can be reached easily on foot. The nearby Mount Clisham, the tallest mountain in the Hebrides, makes for a challenging hike. Stornoway town centre can be reached in just over half an hour; and Tarbert in around 15 minutes. The superb Luskentyre beach, one of the Hebrides’s finest summer attractions, is a half-hour drive away in Harris. Along with many other beaches, it is an ideal place for a picnic or swim in the summer.